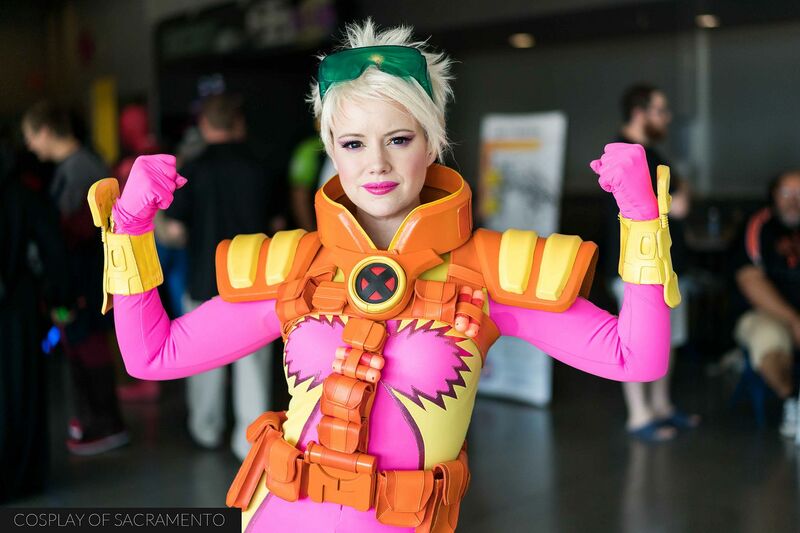 Stockton Con has been a very successful yearly event held at the arena in Stockton. It's one of the best run local cons and is a pleasure to attend. The venue is one of the major factors that make this con great. 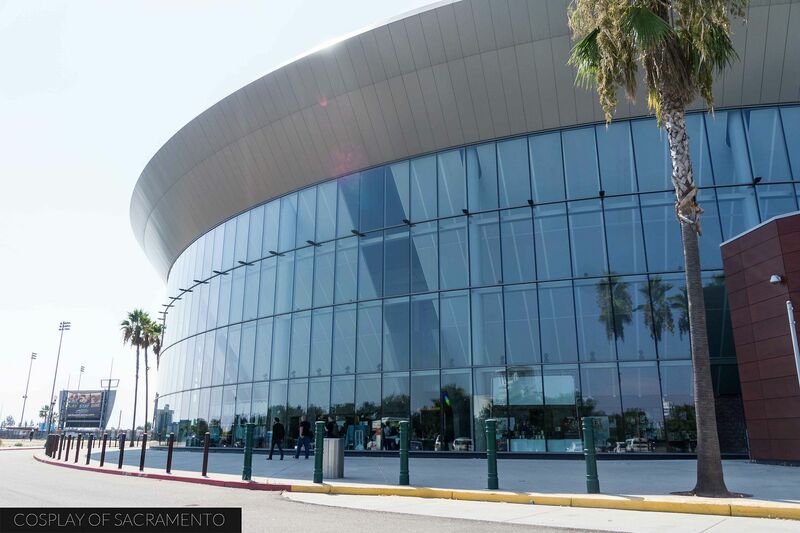 The Stockton Arena is large, has ample seating, and different levels for the various aspects of the con. 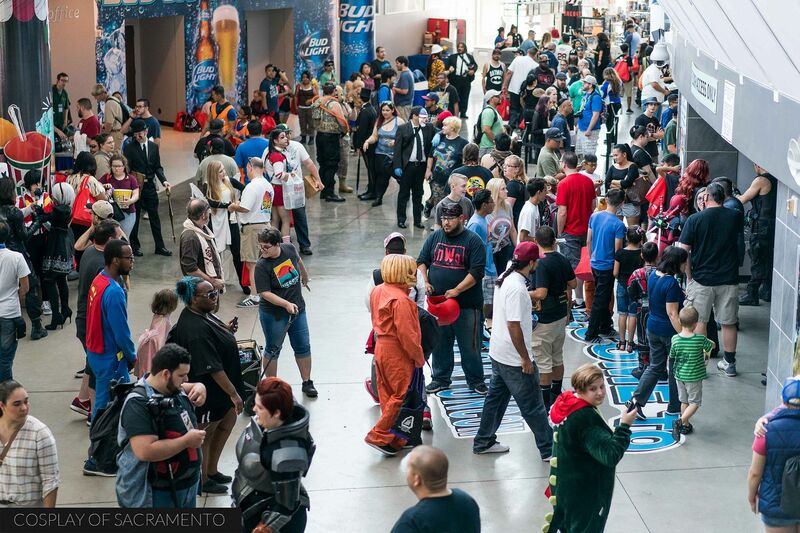 For first timers, you could spend hours discovering all that this con has to offer! The concourse today was filled with people. It definitely got quite crowded at times, but this was the place I wanted to be for photos. The large windows let natural light shine through - perfect for photographs. Many people took advantage of this well-lit area to take pictures. Some dealer booths also lined the concourse while arena food vendors were open across from them providing food for hungry con-goers. It was a lively and festive environment abuzz with excitement! Inside the arena taking up the entire lower level were more dealer booths as well as the artists alley. There was no lack of things to see and buy here. Comic sellers had thousands of issues for sale, memorabilia and toys were at every turn, and beautiful artwork could be purchased from those who had created it. 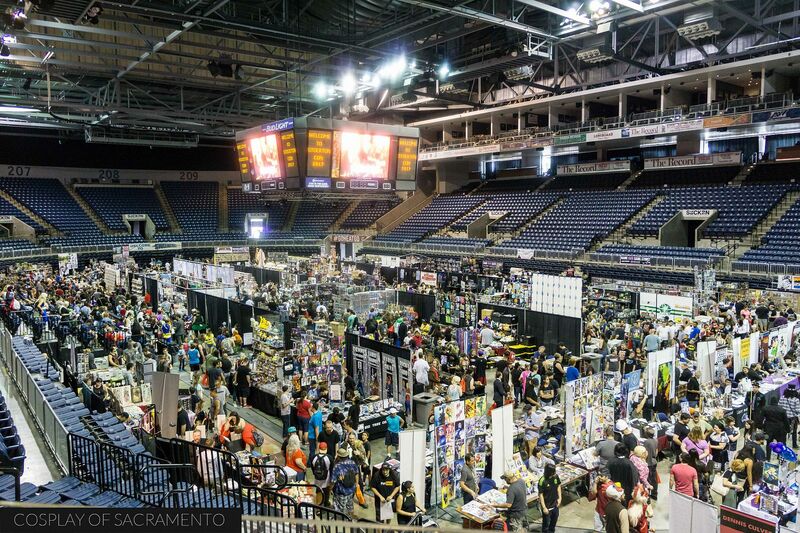 Exploring this area thoroughly could take up most of your day - it's a good thing Stockton Con is a two day event! 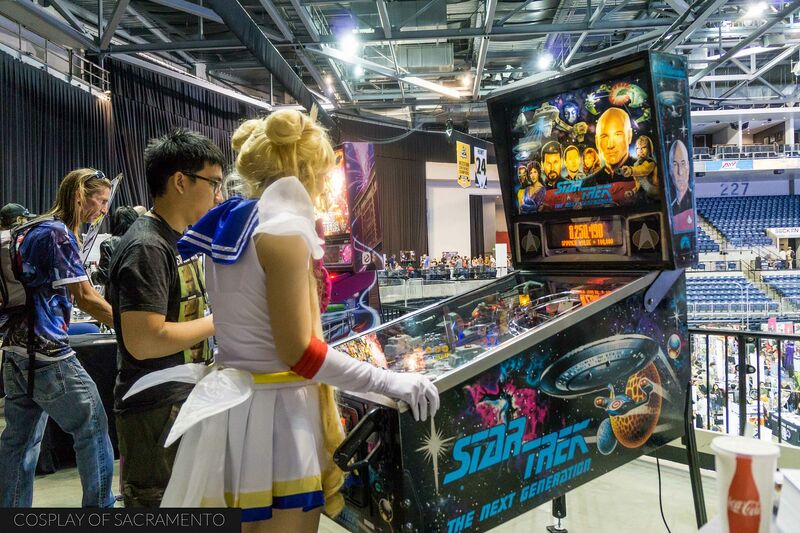 Stockton Con is an extremely family friendly event, and people of all ages participate in the fun. I particularly love it when I see families cosplay together. 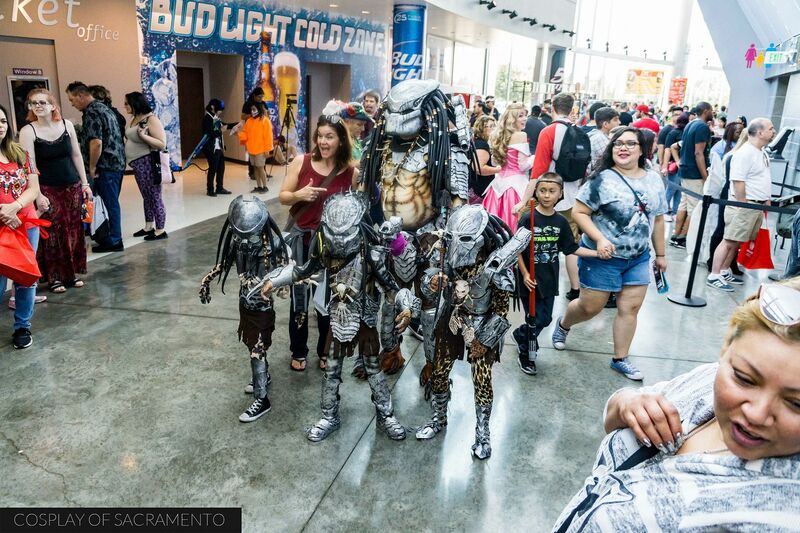 Check out these family's amazingly detailed Predator cosplay. Everybody wanted to snap a picture with them. On one of the upper levels, attendees could play games like pinball or join in on video game tournaments. A little further down from this area were the celebrity meet and greet tables. Like I said earlier, Stockton Arena was filled with things to see and do. For the aspiring artists, there was even an area to practice the skill of drawing. Tables towards the back of the con had materials for people to make their own comics. 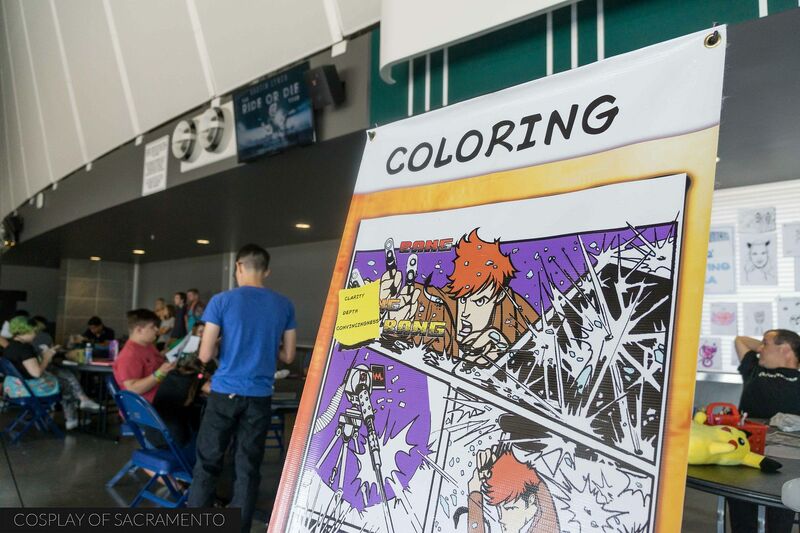 Large guides were displayed to help people understand what goes into making a comic book. Aspects like coloring and inking could be briefly studied and then practiced. Of course as a cosplay photographer, my main interest was to see all the cosplay going on at Stockton Con, and I have to say that I was very impressed with the cosplay on display today. I saw a lot of unique cosplays from many different fandoms. One of my favorites of the day was this Boom Boom cosplay. Boom Boom is a Marvel character that was popular in the 90's (my era of collecting comic books). I was so surprised to see a Boom Boom cosplay today! This cosplay was definitely a throwback to good times for me! There were a lot more cosplays that I was able to capture in a photograph. CLICK HERE to see my full gallery of pics from today's Stockton Con. I really enjoyed my time in Stockton today and can't wait for next year's event. If you haven't been, put it on your bucket list and make sure you come to this con next year. It's totally worth it!